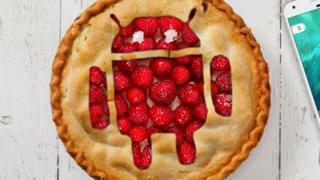 Image caption Android Pie is the latest version of Google's operating system. The firm took to discussion website Reddit to explain that it was conducting an internal test that was "mistakenly" rolled out more widely. The affected devices appeared to be running the Android Pie operating system. Battery Saver can also delay notifications and stop location services when the device is not in use, in order to preserve power. While many of the affected posters on Reddit described having a Google Pixel device, other brands of Android devices were also mentioned, including the Essential Phone, which was designed by one of the creators of Android. Technology commentator Kate Bevan, editor of Which? Computing magazine, said her phone was affected. "I noticed the other day that suddenly my battery saver was on and I was a bit puzzled by it," she said. "I don't want any app or operating system reversing decisions I've made - unless I know why they are doing it. "It's about transparency and consent - it may well be a good idea that a change is being made but I still want to know why."